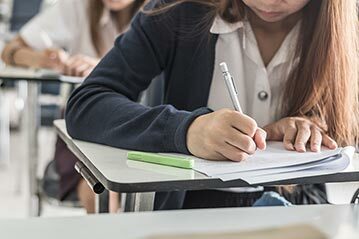 A government grant awarded to Monash IT will kick-start the program, targeting secondary school girls to pursue a career in science, technology, engineering and mathematics (STEM). Monash IT Dean, Professor Jon Whittle says technological advances have fundamentally changed the way we work and that the demand for STEM skills are increasing. “The IT sector is experiencing explosive growth, and the demand for STEM literate and capable employees is growing. “The WISE Program is an opportunity to support and nurture young women to explore their potential career opportunities in STEM,” he said. “Some of our leading researchers in AI, software engineering and data science are women - we’re not just educating young women to work in STEM we’re educating them to be future leaders in STEM,” the Dean adds. Organisers of the WISE Program are inviting secondary schools to nominate teams of year ten female students to learn about the concept of the Internet of Things, develop skills in IT coding, and be inspired to create and pitch an entrepreneurial idea. Using a micro:bit device, teams will rapidly develop, prototype and build a viable business case to sell their product. They will be allocated a current University student as a ‘big sister’ mentor who will provide support, guidance and act as a role model for women studying STEM. Ten teams will be invited to attend a two-day workshop to develop their idea, and the two winning teams will win an immersive entrepreneurial experience to Silicon Valley in California - the global centre of technology innovation. The WISE Program will be delivered by Monash IT and Monash Generator in partnership with the Monash Tech School, Victorian Space and Science Education Centre, Micro:bit, Tech Girls Movement and The Hacker Exchange.